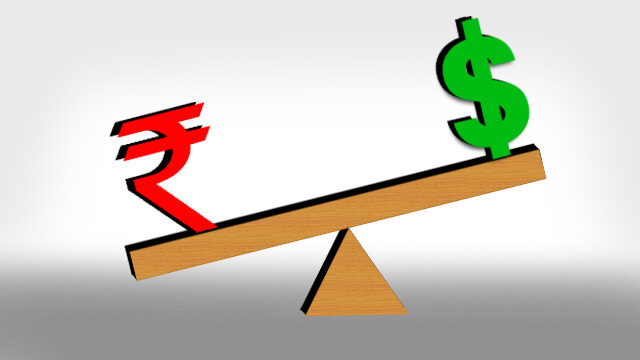 US Dollar has gained and Indian Rupee has lost. Whopping Rs. 71 is the value of one American dollar. This has created problems in the business sector. Let us see here the details of some of the areas of Technology which is terribly affected. Since January this year Rupee has lost around 10 percent and has been the weakest Asian Currency against dollar. One percent in the rupee adds to 30 basis points (0.3 per cent ) to margins. This has ofcourse added to the margins of Software Companies; most of the companies are facing the BFSI clients coming to them for re-negotiation of contracts. Many companies are asking for 5-8 per cent price cut. To quote an example, a brick and mortar retailer who is building an omnichannel platform (where transactions can be done online, mobile or KIOSKs etc.,) is naturally asks for a price cut since the same job can be done at a lower rate and more efficiently by a local start up company. However, some of the exporters are not foreseeing any price cut but expect a demand in the value added services. Dollar figure for Hedging amounts are not provided by Software exporters due to increased volatility in the dollar value. Across major currencies companies hedge revenues net of expenses, however they were using certain numbers as part of their hedging efforts. Major software companies also hedge on a rolling 2-3 quarter forward basis using financial instruments which includes forwards. Though there is some stability in the companies’ margins, they are under pressure now. The margins were appreciably good when the rupee value was lesser at 68 or 67 which helped the industry to make some profits. American experts are concerned that leadership of IT services firms is increasingly out of sync with US customers’ expectations. Analysts feel that the companies will invest some of their rupee gains into hiring in US and in technology areas like AI and Machine learning. Let us wait and see ..